Most drivers experience a car accident in their lifetime, but some drivers are unlucky enough to suffer a serious injury. If you have experienced a car crash in Texas that left you with life-altering injuries, it may be time for you to consider your legal options. The Law Office of Shawn C. Brown, PC, knows the impact that a serious accident can have on your life. Medical bills, physical pain or limitations, loss of income and loss of a loved one are all consequences you may face. As your legal advocates, we will FIGHT for you to help you get the medical care and financial compensation you need and deserve. 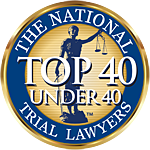 Our firm has earned a reputation for achieving extraordinary results for clients in San Antonio and throughout South Texas. When it comes to pursuing compensation for injuries, an aggressive approach is the most effective and efficient method to get the best possible outcome. Our skilled and dedicated team can protect your rights by standing up to insurance companies and third parties that may want to avoid paying you what you deserve. Compensation may not reverse the damage you may have suffered, but it can help you to get the financial support you need to move forward. As a personal injury law firm, our primary goal is to fight for accident victims and their families. Our job is to take on the insurance company while you focus on healing. For a free consultation with an attorney at The Law Office of Shawn C. Brown, PC, call us at 1-888-WE-FIGHT or 210-265-6290, or contact us via email. We look forward to helping you get the compensation you need to recover from a serious car accident.